In addition to being a mecca for many of the world’s top architects, the Spanish city’s strategic Mediterranean placement makes it a holiday favorite and burgeoning business hub. Visitors will find no lack of world-class hotels, cafés, restaurants, nightlife, or warm-hearted natives. 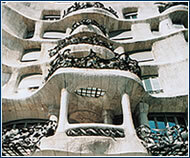 Best-kept secret: Visit Gaudi’s “La Perdera” building in Paseo de Gracia. Best-kept secrets: 1. Climb on the Sta. Eulalia Cathedral Tower and enjoy a wonderful view of Barrio Gótico. 2. I would recommend spots, where you can get “tapas” – snacks, which can be made different ways but are always delicious. 3. 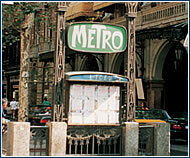 Experience a visit to the “mercada” (market) in La Rambla. The range of sea products offered there is unbelievable. Advice: Do not take anything from any woman seemingly offering free flowers in the center. If you accept it, a bunch of her confederates will appear immediately, asking for money or trying to foretell your future, etc. Avoid contact. Best-kept secret: Make a trip to the resort village of Sitges, situated 30 km south of Barcelona. Initially a fishermen’s village, it has developed into a fancy summer resort. Favorite night club: MareMagnum, huge entertainment center that includes restaurants, clubs, shops, etc. Best-kept secret: Hard Rock Café, Pl. 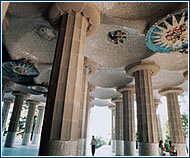 Cataluna, 21, tel: +34-93-2702 305 – It’s not really a secret, but you will be amused there. 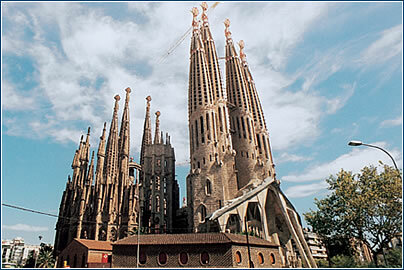 Advice: Don’t hurry; stay in Barcelona at least for five days and get a good look around. Basic factsLocation: Catalunya (Catalonia), Northeast Spain. Population: 1,514,588 (city); 4,228,048 (metropolitan area). Religion: 90% Roman Catholic, Protestants, Muslims and Jews make up the remaining 10%. Time zone: GMT + 1 (GMT + 2 from last Sunday in March to last Sunday in October). Average January temp: 10° C (50° F). Average July temp: 25° C (78° F). Annual rainfall: 590 mm (23.2 inches). 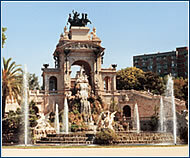 http://www.bcn.es/english/ihome.htm – formal, structured and city-sponsored site with everything you need to know in practical terms. – a great site to begin with for hotel rates and booking. Over the last decade the city has fully utilised its potential as the gateway between Iberia and the rest of western Europe, re-establishing its role as a major Mediterranean port. The city has a strong background in manufacturing based on textiles and the large motor industry – Nissan and Seat have vehicle production plants in the city. Consumer electronics and chemical and pharmaceutical research are other major industrial sectors. 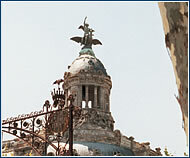 Annually, about a quarter of all foreign investment in Spain flows into Barcelona, with around 50% of all foreign visitors to Barcelona arriving on business. The country’s major convention center with impressive facilities was recently complemented by the Catalan Conference Center, which opened in March 2001, and the state-of-the-art World Trade Center at Port Vell.